Thumbtack is transforming the way people complete projects. With Thumbtack, customers can hire professionals at just about anything, from painters to music teachers to personal chefs. I spent two summers as an intern at Thumbtack working on full-stack web, native Android app, and native iOS app (in both Swift & Objective-C) development. On the web side, I re-built from scratch the page where customers leave reviews for professionals to match a new design. I worked to ensure the page looked perfect on devices of any size, since a significant portion of Thumbtack's users visit the website from their phones. I also added the ability for customers to rate professionals not just on their overall service quality, but also on specific categories like "Professionalism" and "Value." 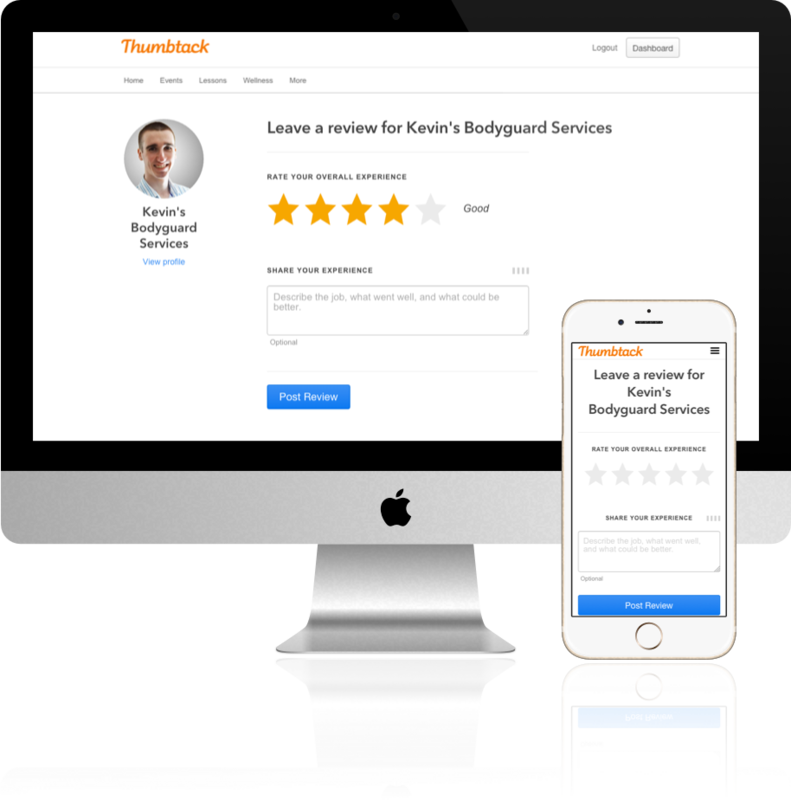 These new features drove an increase both in the number of reviews received and the value of these reviews to customers, professionals, and Thumbtack. On the native mobile apps, I built a new feature for Thumbtack pros to filter and sort the requests they receive from customers. Since many pros receive more requests every day than they can handle, my work has allowed them to spend their time focusing on what they love to do, rather than stuck going through requests they aren't suited for. I will be starting full-time at Thumbtack in mid-2017.